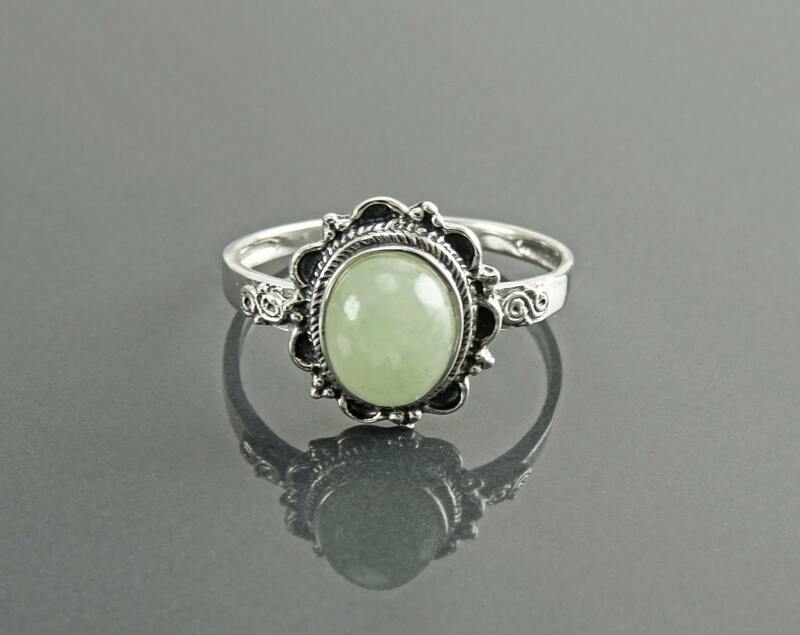 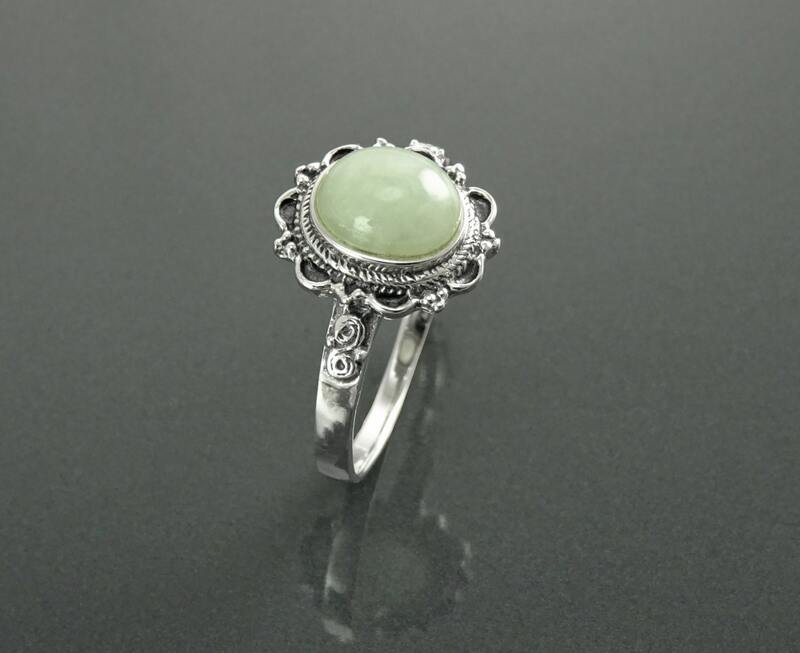 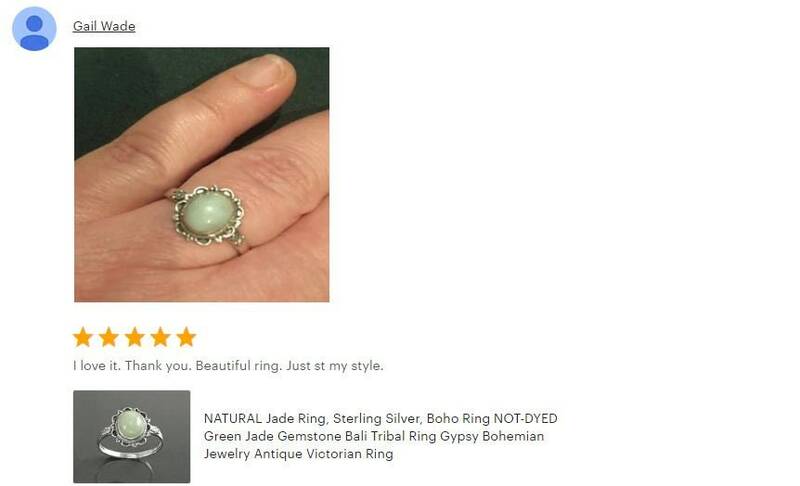 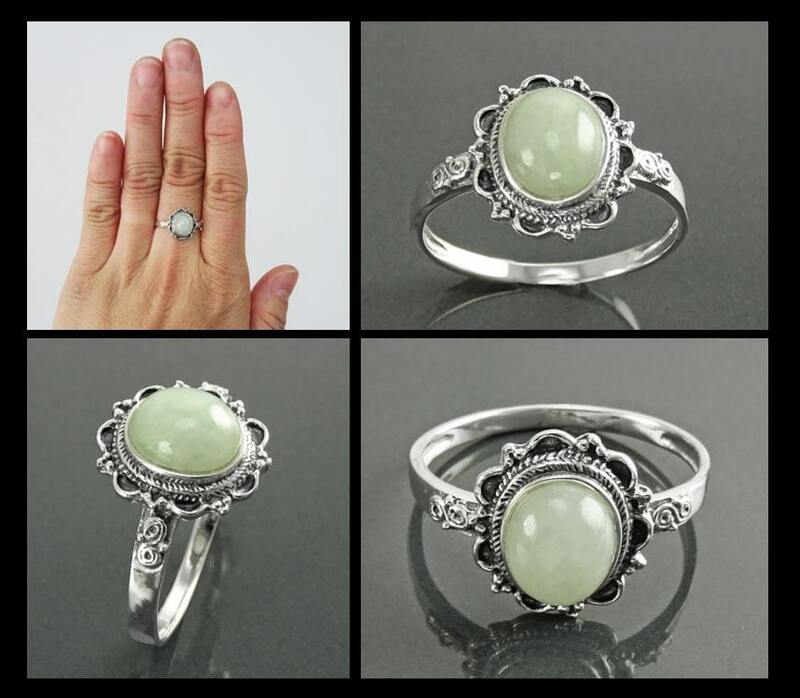 This Gorgeous small Jade Ring features a Boho Studded Pattern around the Genuine Light Green Jade Cabochon. 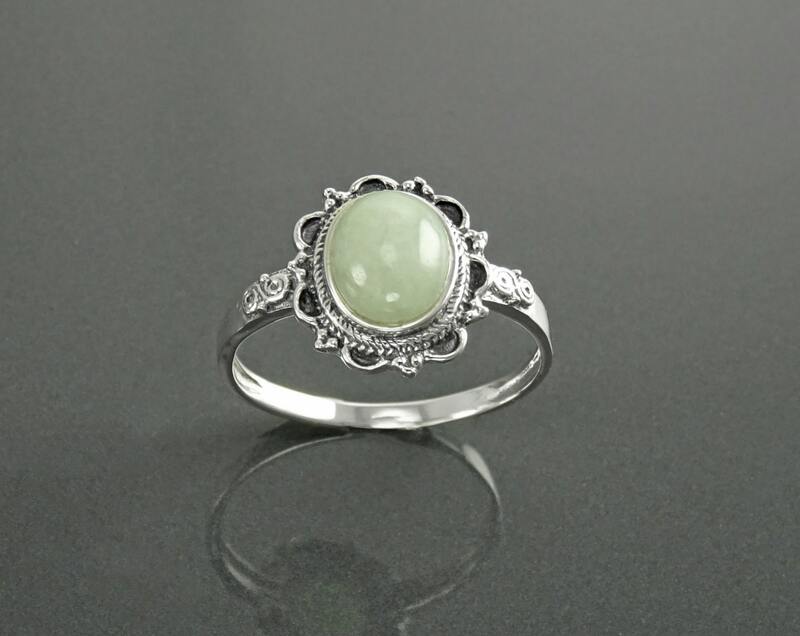 The Border is lightly oxidized to show details and looks lovely with the Green Jade. 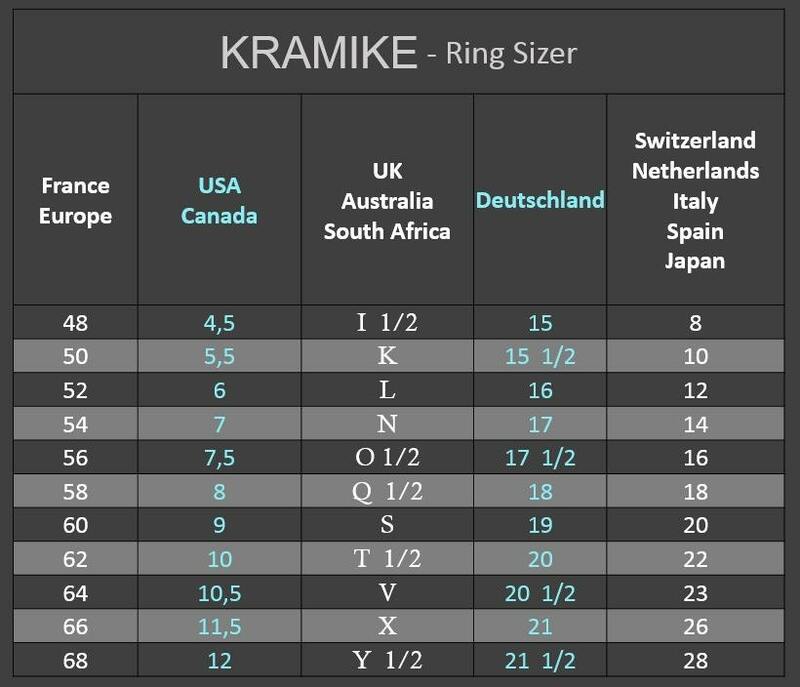 Average silver weight : 1.8 gr. 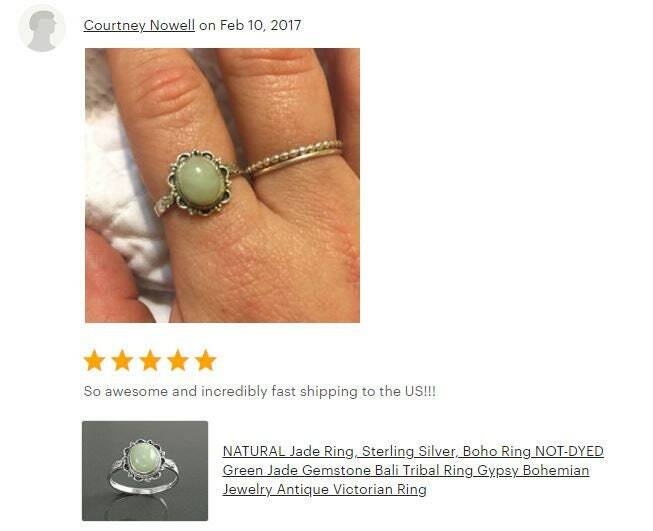 Ich bin Jade fan, wirklich begeistert und trage ihn fast täglich.